The famed seaboard of Northern California offers travelers a mixture of picturesque beaches and hidden coves – from busy beach areas such as Santa Cruz to more peaceful, intimate areas such as Lagoon Creek Beach. 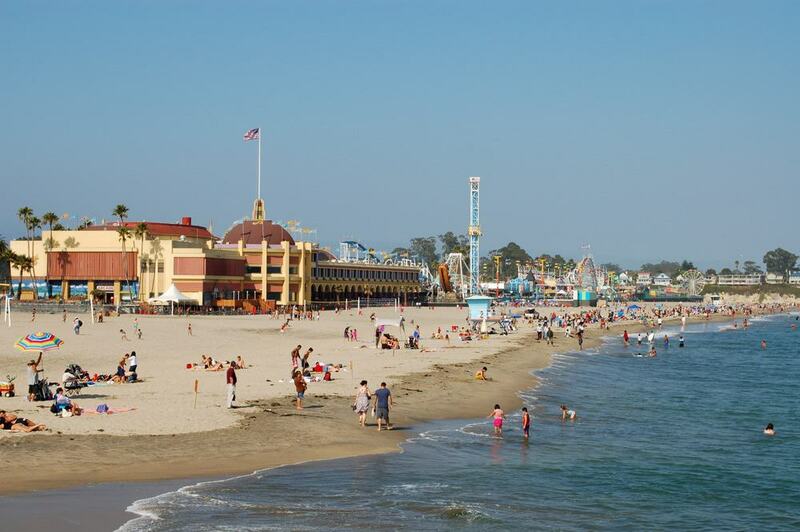 As a bonus for travelers, the state of California offers beachgoers free access to all public beaches. Each beach offers something unique – besides the sand and water – and that’s why they made it onto this list. You can expect to come across vintage roller coasters, wooden boardwalks, carnival games, and epic paragliding destinations. 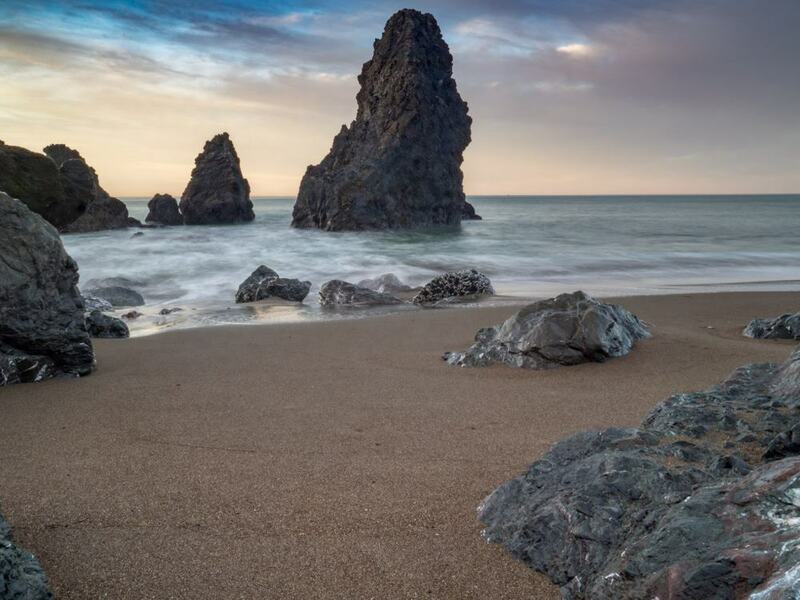 Read on to get an idea of the 15 best beaches in Northern California to help you decide which beaches to add to your Northern California bucket list. Prepare with caution, because once you sample the laid-back Cali lifestyle, it’s hard to go back home. 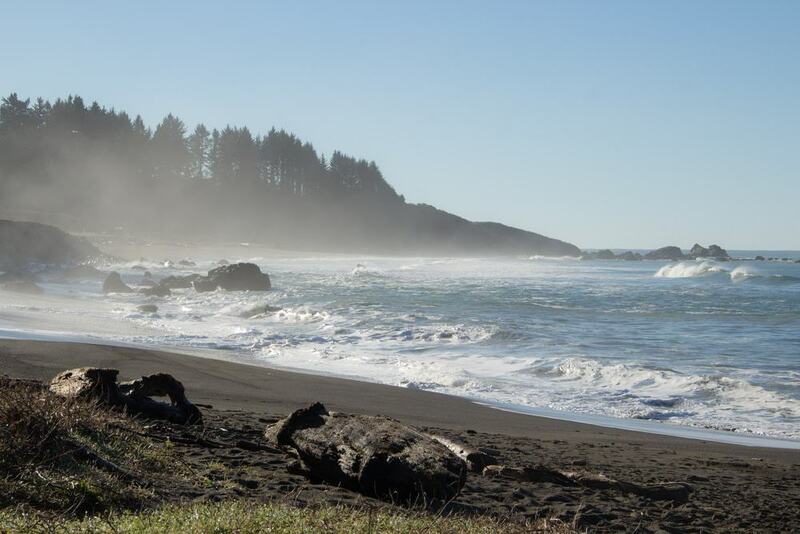 Situated between Half Moon Bay and the city of Moss Beach is Ross Cove Beach. 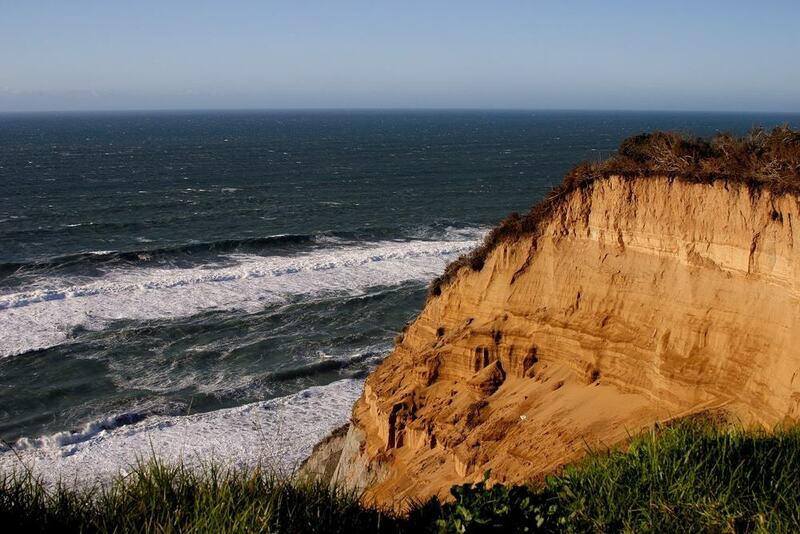 Right above the beach is Pillar Point Bluff Park, which has amazing trails for jogging or walking your pup through. Depending on the season, the conditions of the trails vary due to erosion and the beach may not be reachable. Pack a lunch and enjoy a picnic on the beach – there are no facilities nearby other than restrooms. This is a good location to spot whales. Why pay extra for whale watching when you can see them on Ross Cove Beach for free? Rodeo Beach in Northern California sits in between Rodeo Lagoon and Rodeo Cove. The beach is made up of pebbled stones in all different colors and the water is painted endless shades of blue; it’s one of the more picturesque beaches in Northern Cali. There are famous rocks on the south shore of the beach that are regularly photographed. If you enjoy bird watching, Rodeo Lagoon is a great place to spot a variety of species. Offshore, there is a small arch in the center – known as Bird Rock – and with binoculars, you can spot many types of birds that are roosting. This beach is pet-friendly and has restrooms available. 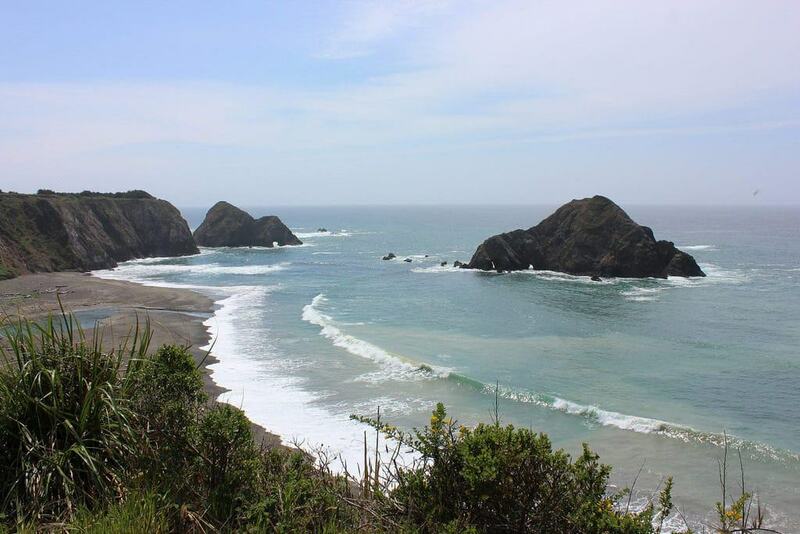 Caspar State Beach is set in a cove called Caspar Anchorage, which is positioned in the coastal town of Caspar. This beach is great for camping; there is an RV campground right across the road. Out of all the beaches to go swimming at, Caspar State Beach is one of the best. However, the water can be cold and the current may change rapidly, so it’s still important to use caution when swimming. Towards the north end of the beach, you will find some walking trails which have great viewpoints overlooking the shore. On the south side, there is a park area which is great for enjoying lunch. The park is called Caspar Headlands State Natural Reserve. Miles and miles of golden sand make Seaside Beach incredible – it’s a great destination to enjoy for a whole day. Although there are lifeguards, the beach tends to get slightly rough and has strong currents. 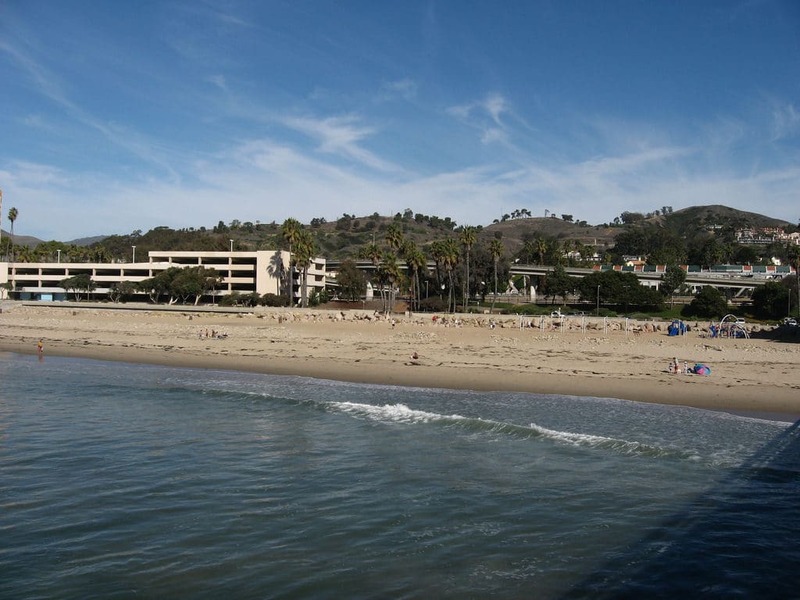 Swimming is not advised, but it’s definitely a must-see beach while visiting California. The long shoreline is great for flying kites and watching paragliders take off. If you enjoy golfing, there is a course located in Seaside, a great option to keep you active in between sunbathing sessions. 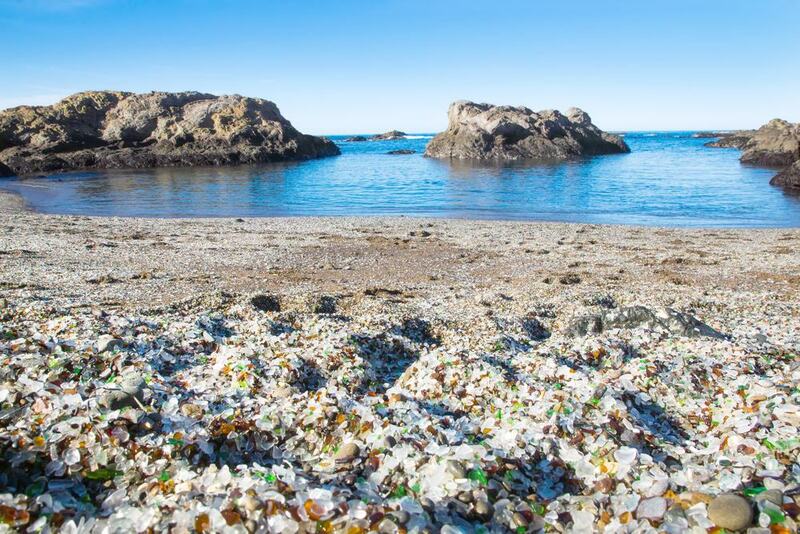 Glass Beach will be one of the most unique and exquisite beaches you will ever visit. This beach is the most well-known in MacKerricher State Park because of all the glass pieces scattered along the shore. The photos taken from this gorgeous spot will add some real color to your social media feed. You are not permitted to remove any glass from the beach but you can snap a few pictures, which is just as rewarding. There are many trails around this area that will lead you to Pudding Creek Beach – a great little spot to experience while you are in the vicinity. How can you not consider Santa Cruz as one of the top 15 best beaches in Northern California or California in general? The long stretch of white sand, gentle surf, and an incredible boardwalk to boot, this beach will be sure to make your vacation memorable. You can enjoy carnival games and amusement park rides and take a wander through the beachside shops when you’re done. It’s a beach for the true adventurer – not only can you watch surfers from the shoreline, but you can also spot whales, dolphins and sea lions off in the distance. With 200-foot-high sandy cliffs, you will see many hand-gliders on Fort Funston Beach, especially between March to October. While this beach is a great spot for entertainment, it can get windy and the undertow is powerful. 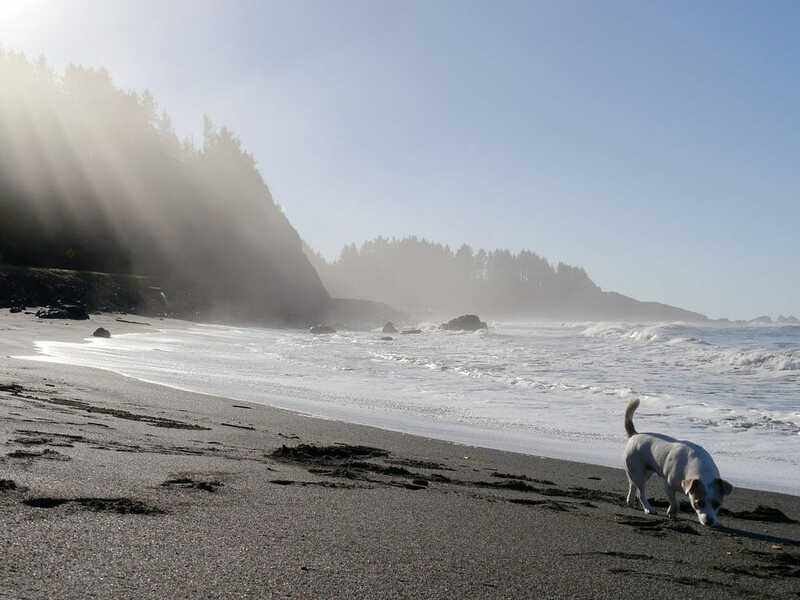 This is an off-leash dog beach for your pups – a bonus for animal lovers. It’s also a great place for horseback riding and hiking along trails, with many different tracks to choose from in the area. 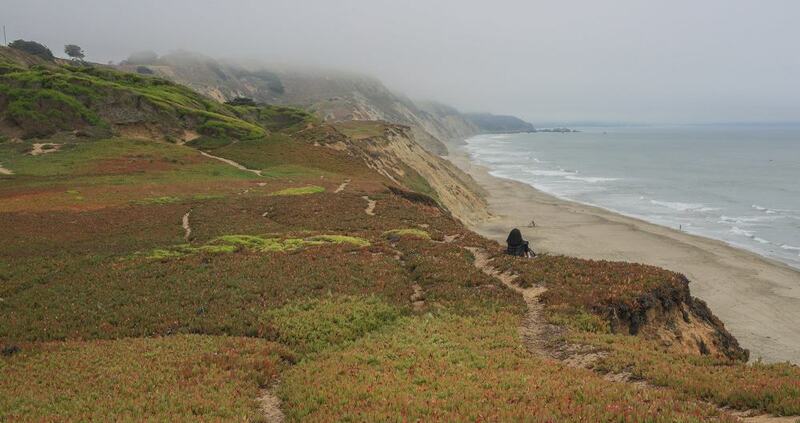 This beach is also home to the Fort Funston Native Plant Nursery. If you are looking for a volunteer opportunity, this is a great place to consider. 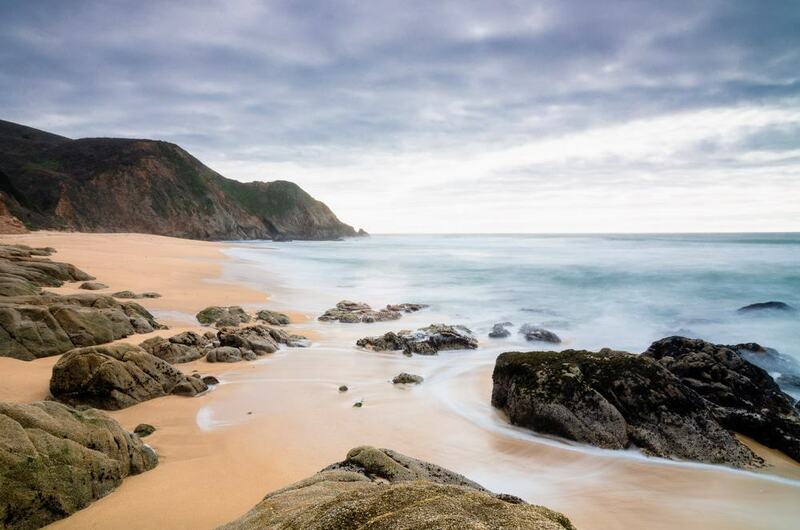 Montara State Beach is a mile-long walking beach, situated north of Montara alongside the San Mateo County Coast. It’s another photogenic spot because of the backdrop of the sandstone-sculpted cliffs. If you are in the mood for hiking, Montara Mountain is only a short walk away. 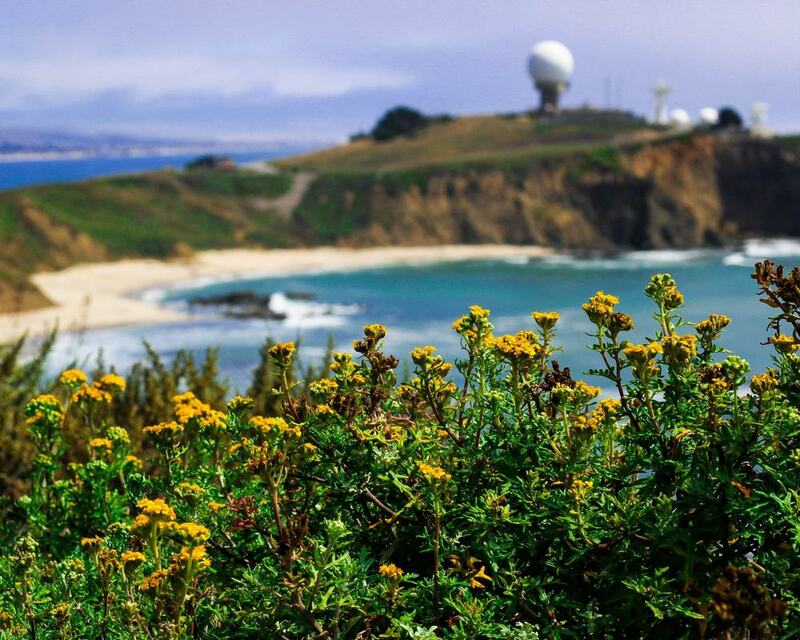 Besides hiking, fishing and surfing are great activities to do at Montara State Beach. Dogs are allowed on the leash and parking is free. In the corner of Sonoma County, bordering Gualala River and Mendocino County lies Gualala Point Regional Park. This park is unique because there is an area where the river meets the sea. Come prepared to stay in a campground surrounded by forest, alongside the river; it will be an experience you will never forget. 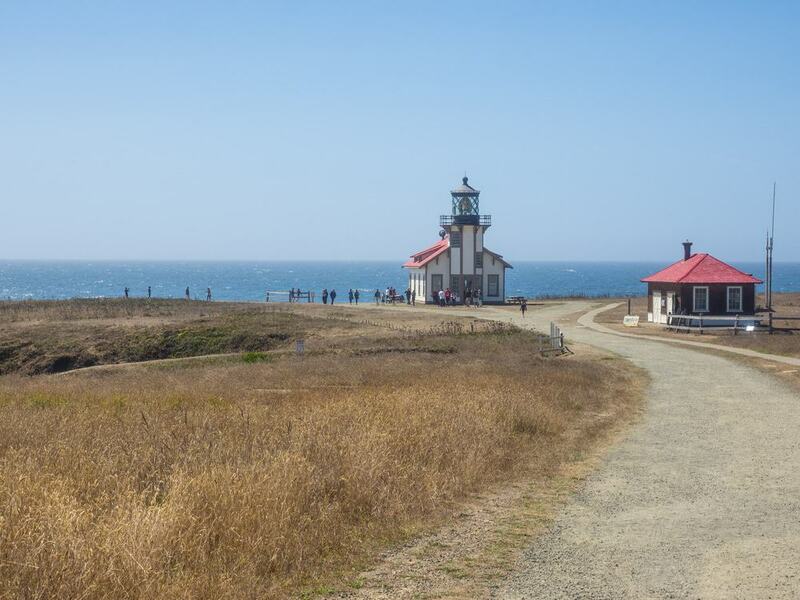 It’s another great place for whale watching, hiking along trails, and bird watching. 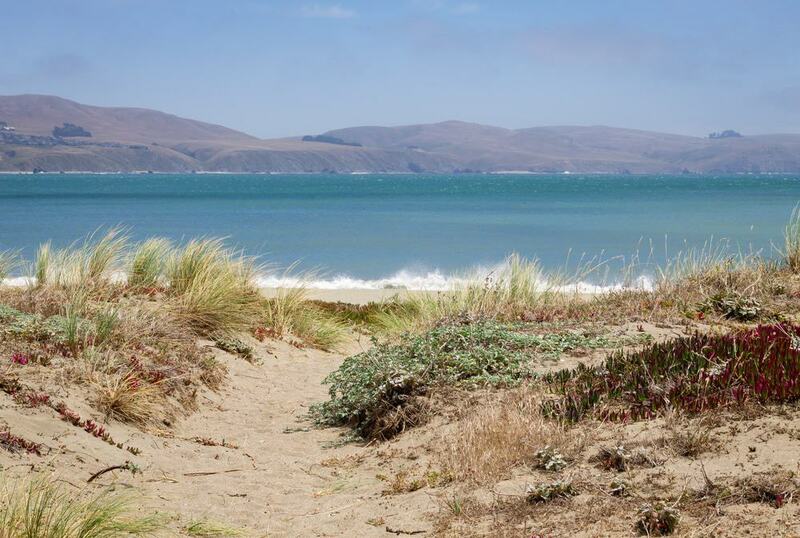 Surrounded by coastal dunes, the town of Bodega Bay is where you will find Bodega Dunes Beach and Campground. This beach is large and isolated, making for the perfect relaxing getaway. If this beach is not remote enough, you can take a walk to the south side, where you will find Mussel Point. This is a great, picturesque spot with many hikes through dunes – great for experienced hikers and horseback riders. There are restrooms and picnic tables available, and the campground is a great place to stay and soak up the peaceful vibes. Situated in the tiny town of Elk, where the creek streams into the ocean, you will be happily greeted by Greenwood State Beach. The beach dates back to the 1800’s. During logging times, it featured a pier that was used for shipping goods and transporting people to San Francisco – known as the Greenwood Pier. You can take a stroll through the museum and learn more about the history of Greenwood. You will notice lots of driftwood on the beach, which is great for some artsy photos. Why not kayak through the Greenwood cove and over to Gunderson Rock – a small, rocky island located offshore. Beach drives, bird watching, and late night bonfires are what Centerville Beach is known for. Directly behind the beach is a combination of farms and marshy areas, which is why the birds enjoy hanging out here. The cool thing about this beach is that you can actually drive your vehicle or ATV directly on the shore. Centerville Beach is also a landmark, commemorating the 38 people who passed away during the shipwreck in 1860. You will notice a white cross at the south end of the beach. The sunset paradise of California, also known as Enderts Beach, consists of scattered rocks, driftwood, and enough wind to fly a kite or to make reading a book enjoyable with a subtle breeze. In order to access the beach, you will need to walk for about a mile. There is a campground halfway between the parking area and beach. You can spend a night or two and take full advantage of this peaceful retreat. One of the main attractions on Enderts Beach are the tide pools, which are located at the south end. You will spot sea stars, urchins, and other fascinating, tiny sea creatures there. 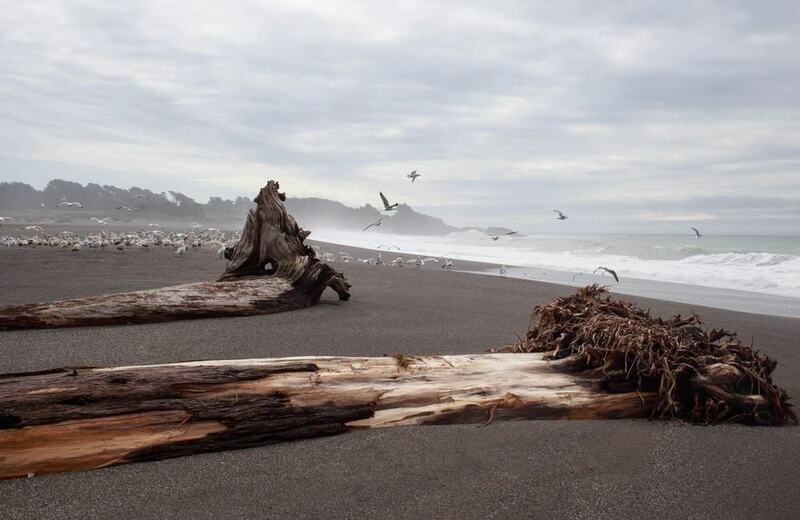 Let’s switch it up with a dark sand beach, located at the south side of False Klamath Cove. Redwood National Park has a great picnic area, with tables and restrooms available. This is where the hiking trails start and you can walk to a beautiful viewpoint that looks over the cove and False Klamath Rock. If you continue on this trail, you will come to Hidden Beach. This beach is great for surfing and fishing. Dogs are allowed on the beach but will need to be kept on a leash. A former military fort that was turned into a public park – now known as Baker Beach – is a beach with postcard-perfect views. The big attraction to Baker Beach is the vicinity to the Golden Gate Bridge, which can be seen off in the distance. It’s definitely one of the top 5 beaches in California for views. Since the water is rather cold and the tide can get rough, it’s better for walking than swimming. 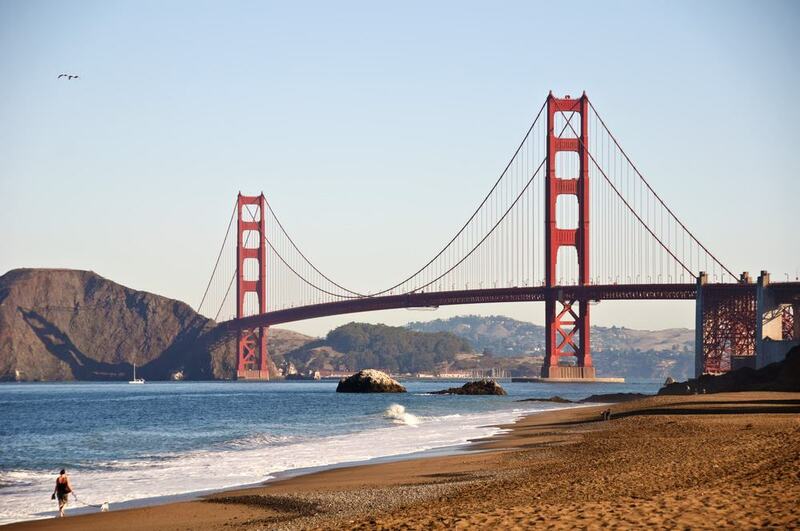 You can access Baker Beach by public transport due to its proximity to San Francisco. There are public BBQ grills available for extravagant picnics, so pack some BBQ staples and make a day of it at this gorgeous spot.